If you’re in need of the best gaming keyboard for under $100, this list will cover our top 5 picks. You can get great mechanical keyboards in this price range, and you can actually get a few membrane keyboards that perform just as well. 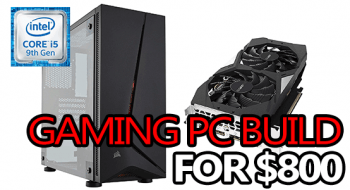 PC gaming is like any other hobby or pastime, you need the best equipment to get things done. Without having the best keyboard possible, you won’t enjoy your gaming experience as much. In this post, we’re going to be looking at the top 5 gaming specific keyboards in the $50-$100 range, the majority of which will be mechanical. 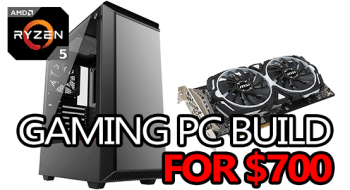 This price range is a perfect fit for anyone, whether you’re just getting into PC gaming, or you’ve been at it since Pentium 2 was still new. By the end of this list, it should be clear that spending more doesn’t always get you something better! There are plenty of great keyboards for under $100 and you’re about to see 5 of them. The Havit HV KB-390L is a really solid mechanical gaming keyboard that comes equipped with all the essentials you need, it uses Kailh Blue mechanical and features full 87-key NRKO for complete accuracy. When it comes down to mechanical keyboard, Cherry MX is usually considered to be the "standard". But, Kailh is another company who makes reliable switches that get positive reviews all over the place. Havit's KB-390L features a "clicky" blue switch which will give you the audible sound you might be looking for, just like Cherry MX Blue. One major bonus with the KB-390L is how thin and compact it is. At only 520g and under an inch thick, this board will fit practically anywhere. That said, to be as compact as possible, the KB-390L does not have a numpad. All-in-all, Havit's HV KB-390L is a really decent gaming gaming keyboard with a really decent price. No, the switches aren't Cherry MX, but they're still mechanical and I bet you'd have a hard time telling them apart. The Rosewill RK9000V2 is pretty basic as far as RGB backlighting and extra macro keys go, but it does utilize Cherry MX mechanical switches (your choice out of 4 styles) and a basic form that we're all used to. 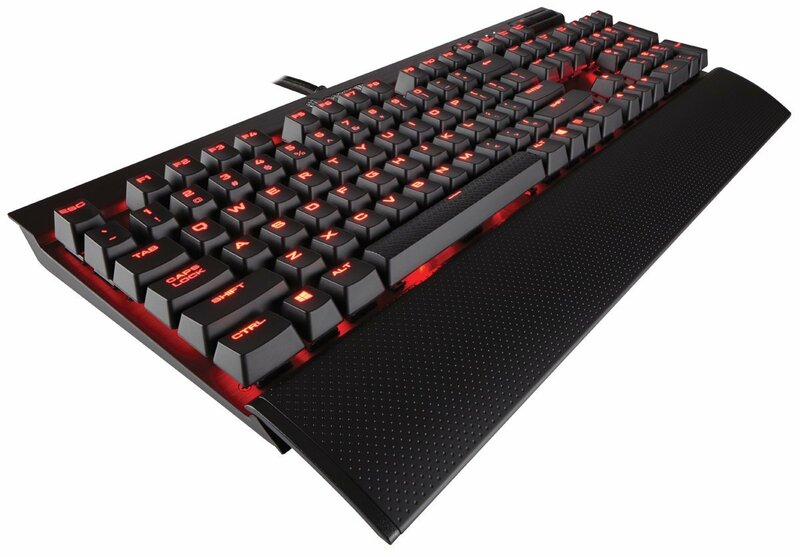 With all of that said, it's a keyboard which has definitely been built with gaming in mind. 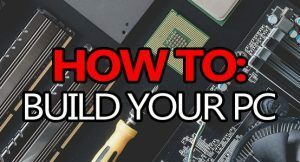 You're able to disable the windows key directly from the keyboard, it has an insane rollover limit, laser printed keys, and the chassis is made from metal - to withstand rage sessions. Like I said, built with gaming in mind. There are a couple of similar alternatives to the RK9000v2, primarily the CM Storm QuickFire and the SteelSeries 6Gv2. Both are good alternative choices and offer slightly different options as well as lower price-points. 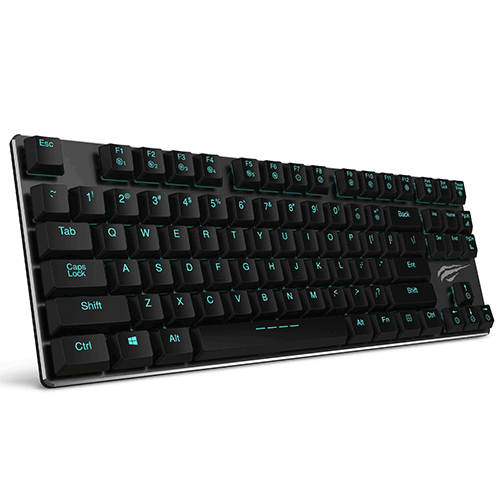 All-in-all, your choice of Blue, Brown, Black or Red Cherry MX switches, the metal frame and overall functionality make the Rosewill RK-9000V2 a keyboard to seriously consider. You might also want to consider a Cherry MX Switch Tester for about $10, so you can decide which ones you like the best. If you're a fan of Razer products, and you demand a mechanical keyboard, the BlackWidow Ultimate is a great choice - or the Chroma version if you're looking for basically the same thing with RGB lighting. The BlackWidow Ultimate features Razer's own proprietary mechanical switches which is based on the Cherry MX switches and feel very similar. 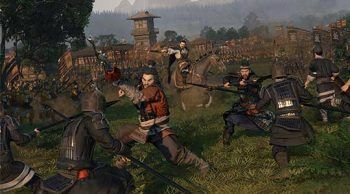 They're definitely nice to type with and game on thanks to the great level of responsiveness and just the general feel of the keys. There's also an option available which comes loaded with Cherry MX Blue switches, but it's a little more pricey than the Ultimate edition with Razer's switches. It also has a USB port and audio jacks built into the side. I found this pretty useful and ended up using it for my headset for a while without any noticeable difference in sound quality compared to my case's 3.5mm jacks. I ended up using the Chroma version way more than the Ultimate due to the RGB lighting, but in all honesty that's the only real difference for double the cost. They both feel the same and perform the same. So, if you're needing a high-quality mechanical keyboard with a few extra programmable buttons for macros, the BlackWidow Ultimate might be exactly what you're looking for. If you're in search of something similar with RGB lighting, then the Blackwidow Chroma is what you need. Corsair's K70 LUX is a great option when it comes to picking out a top-level gaming keyboard for under $100. It comes with high-quality Cherry MX Blue mechanical switches that offer a tactile and "clicky" feedback. The K70 LUX also has 100% anti-ghosting support with complete NRKO. The detachable wrist rest is fairly decent and is actually pretty comfortable - something I've found uncommon with most wrist rests that come with a keyboard. Corsair also gave the K70 LUX its own dedicated media controls including an awesome volume "roller". This style of volume control is much superior and faster to use than +/- buttons. Not enough keyboards include a roller vs buttons, probably because it costs more. There are really only real minor downsides to the K70. One being that the backlight is a single color (red) instead of RGB, and the keycaps have a tendency to wear after quite a lot of use. All-in-all, Corsair's K70 LUX is a great choice if you wanted a keyboard with Cherry MX Blue switches and dedicated media controls. The Logitech G610 Orion is the all-around best gaming keyboard for under $100, just recently taking the seat of the impossible to find G710+. 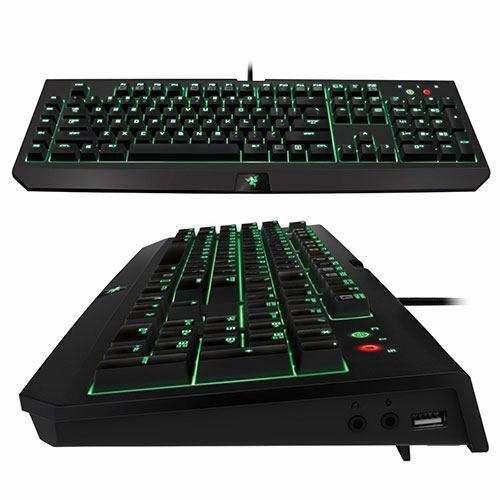 It features your choice of Cherry MX Brown, or Red switches and combines these with the incredible versatility you get out of a Logitech keyboard. Although it doesn't offer as many programmable G-keys as say a G510s, you can customize the function keys with custom macros using the Logitech Gaming Software - probably not useful to everyone, but definitely a selling point for some! The adjustable backlighting is an interesting feature if you're concerned about missing certain keys in a game. You can customize the backlight on certain keys to be brighter or dimmer than others, so you'll never miss an important spell again! Honestly, this is kind of a novelty feature to me, but I can only imagine that it'll help out a lot of people in lots of different games. 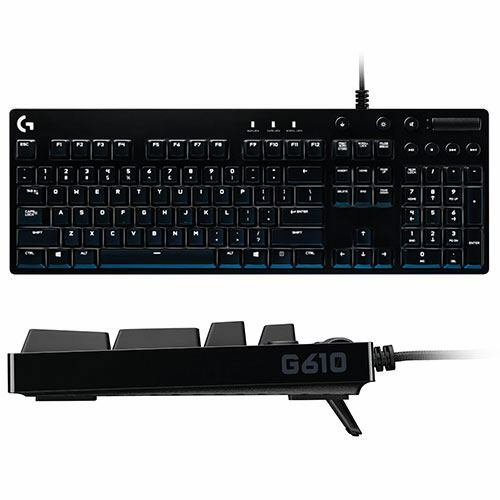 Overall, the G610 is a relatively new gaming keyboard in the scheme of things, but like the G710+, the G610 Orion is attested to by numerous reviewers and long-time gamers. It delivers great performance, utilizes Cherry MX switches, and leaves out the useless flair by delivering a more minimalist look - what more could you want? 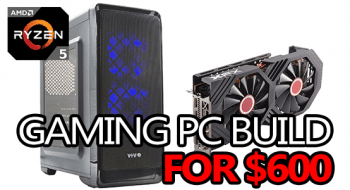 For $100, you can easily get a great keyboard that you can game hard on, or that you can use for typing and browsing, without looking like too much of a nerd. From the Razer DeathStalker Expert to the Logitech G610 Orion, all of these keyboards are great, for the right person. It's just a matter of picking the one that suits you the most because they're all high-quality keyboards with their own unique pros, and cons. 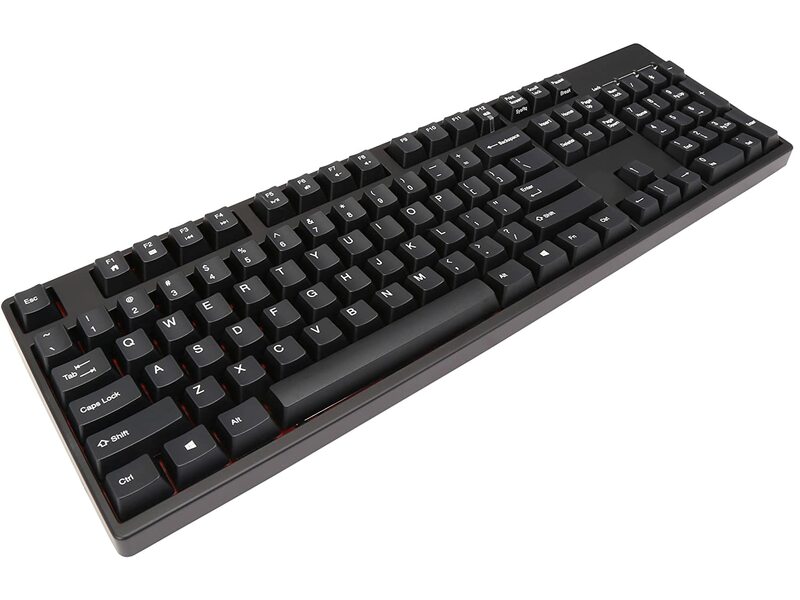 If you absolutely need Cherry MX switches, I would strongly suggest checking out the Rosewill RK9000V2, the Logitech G610, or one of our honorable mentions below. 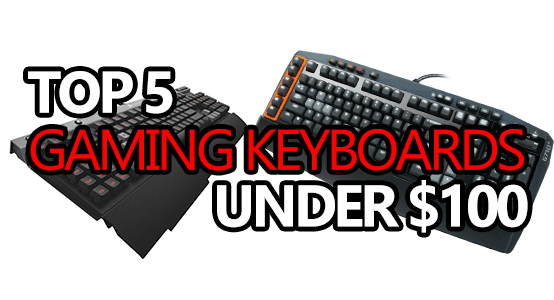 If you want to see even more, check out my top 5 gaming keyboards under $50 list. 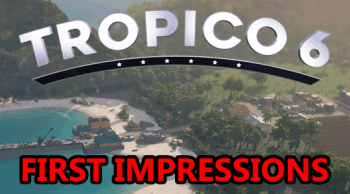 If you have any questions, or comments, feel free to use the comment section below! Have you ever tried the coolermaster ck530? Unfortunately, no. But, it looks like a great keyboard. It’s running Gateron switches which are great, and the overall design looks awesome as well. 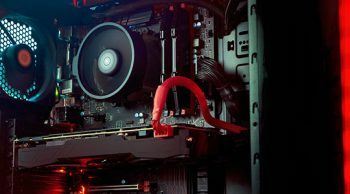 Being a Cooler Master product, you can pretty much guarantee it’ll be high-quality. I’ll be ordering one to test out in my next batch of keyboards. Would the K70 RGB be a good choice or would I just be wasting my money? If the price doesn’t seem too steep to you, I can’t imagine you’ll be disappointed by the K70 RGB. what do you think of the g513? It’s good, but there are better options for less $, imo. Is it really that important to have mechanical keys? Or does it even make a difference? It’s pretty subjective as it boils down to what a person prefers. Some people live by their mechanical keys, others might prefer membrane or really soft mechanical keys. 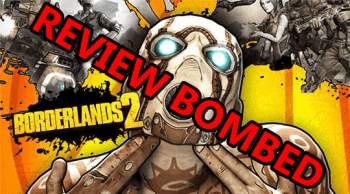 If I were you, I’d go down to a local store like Best Buy and test the keys of some of their mechanical and some of their membrane keyboards – that way you’ll know for sure which one you like more. How about the Razer Ornata?